ALBANY – Daniel J. Kilmade, Jr., 87, of Albany, died Friday, August 28, 2009 at St. Peter’s Hospital. Mr. Kilmade was born in Albany, and graduated from Voorheesville High School. He served in the U.S. Army during World War II, and fought in the Battle of the Bulge. He was employed for a time by the U.S. Army Depot in Voorheesville, and then for over 40 years at the Veterans Administration Hospital in Albany, both during its construction, and for many years after, during which time he was devoted to seeing that veterans received the care they needed. He retired as Assistant Chief of Medical Administration. He also was employed part time by Sears and the A&P supermarket. Mr. Kilmade was a member of the VFW, and loved gardening, horse racing, and caring for his family and his home. Mr. Kilmade is survived by his wife Tomasina Fallone Kilmade; his children Anna Marie Kilmade Gatons (Paul Gatons) of Springfield, VA, and Michael Kilmade (Debbie) of Albany; his brother in law Rocco Fallone; his sister in law Joan Wallace; his grandchildren Daniel McCarthy (Marcie), Kevin McCarthy, Christopher Kilmade, Joseph Kilmade (Jessica), and Maureen Kilmade; and by several great grandchildren and several nieces and nephews. Funeral services will be held in the Hans Funeral Home, 1088 Western Ave., Albany, Tuesday morning at 8:15, and from there to Holy Cross Church, Western Ave & Rosemont St., Albany at 9:00. Relatives and friends are invited, and may call at the funeral home Monday from 4-7 p.m. Interment will be in Calvary Cemetery, Glenmont. Those who wish may make memorial contributions to the Nativity Preparatory Academy, 15 Whalin St., Rochester, NY 14620. To leave a message of condolence for the family, view or print a prayer card, or obtain directions to the funeral home, please visit www.HansFuneralHome.com. 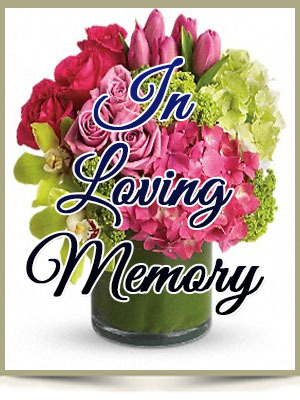 Offer Condolence for the family of Daniel J. Kilmade, Jr.
Our deepest sympathy on the passing of your dear Father. Our thoughts and prayers are with you, your Mother, and your family. I was sorry to hear about your father. My deepest sympathy. May God’s everlasting love comfort your mother, you, and your family during this time. God bless you all! I am so sorry to hear about the passing of your beloved father. He was lucky to have a daughter who loved him so deeply. When you and I worked together, I can remember you talking about him with pride and love. You and your family are in my thoughts and prayers. Mike & Debbie – I was deeply saddened to hear about the death of Mike’s dad. May God bless you and your family during this time and always. I hope to catch up with you soon, in the meantime, please let me know if there is anything I can do for you. The past kindness of your father to me will always remain in my heart. Our thoughts and prayers are with you and your family at this difficult time. I was sorry to hear of the loss of your father. You and your family are in my thoughts and prayers.